Frankly, no other place in North America offers more birds and hunting access with less effort or cost than the prairie regions of Canada. It is amazing more hunters don't make the pilgrimage north. The uncertainty and not knowing where to begin are without question big reasons why so many hunters hesitate to hunt in Canada. 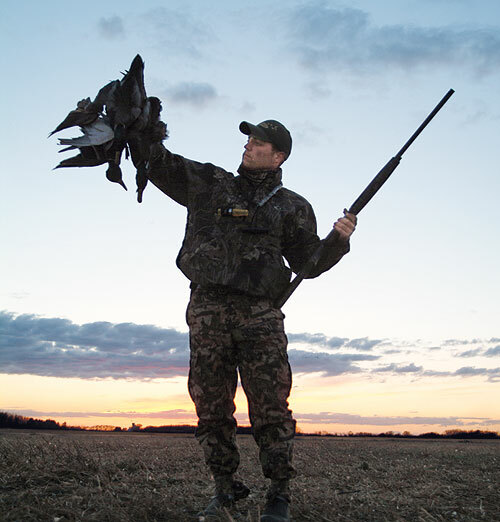 Here's what you need to know for your next Canadian waterfowl hunt. Every hunter is allowed to transport up to 200 rounds of ammunition to Canada duty-free. For airline travel, the limit is reduced to 11 pounds, which equals about four boxes of ammunition. A duty must be paid on additional ammunition. It's cheaper to pay the duty than to purchase ammunition in Canada. Also, it can be difficult to find places in Canada that sell the necessary steel shot or non-toxic shot required to hunt waterfowl. The cost of licenses and stamps varies and the license is good for one calendar year. Currently, the Canadian dollar and U.S. Dollar are virtually even in value. Most businesses in Canada will offer U.S. customers some exchange rate, but the best way to ensure you are getting the best possible deal is to purchase with a credit card or convert U.S. currency to Canadian funds at the border. Most cell phone providers offer some coverage in Canada, but the roaming charges are likely to be very expensive. A calling card purchased in Canada is an inexpensive and convenient way stay in touch with those at home. A calling card purchased in the United States will not work in many instances, and if it does work, the rates charged against the card will be double those charged to a calling card purchased in Canada. You can check with your cell service provider to see if a temporary calling plan that extends to Canada can be added while you're in country. It's not a good idea to try to scout during the middle of the day. At midday, most birds are going to be roosting on secluded water someplace. Without birds coming and going to give away the location of roosting or feeding areas, pinpointing good hunting areas becomes difficult. The first two or three hours of the day and the last two hours of the day are when most of the birds will be trading between roosting and feeding areas. Plan your scouting efforts to correspond, and don't worry about missing out on a little time in the field. A well-scouted hunt will pay off big compared to a hunt that was poorly scouted.